We have a range of Monash approved accommodation providers in the city that are suitable for all students, including those under 18. If you're over 18, you can also choose to rent your own place or share a house with friends. Our approved accommodation providers offer secure, apartment-style living with lots of student facilities. All rooms are fully furnished and staff are available 24 hours a day to make sure you feel safe. As soon as you've accepted your offer, start thinking about where you want to live. Urbanest offers great accommodation if it’s your first time living out of home and want a comfortable, friendly environment to help you settle into life in Melbourne. For 2019, Urbanest has an allocation of beds reserved exclusively for Monash students. Urbanest has a uGuarantee policy which provides peace of mind and no financial hardship to students via the refund of any upfront deposit paid to Urbanest if a student fails to secure a visa or admissions placement for study within Australia. Monash Special Offer: Monash students planning to stay at Urbanest are able to book for a 6 month lease on the standard 12 month rate. You won't miss a beat living at Urbanest Melbourne Central. In the heart of the CBD, you can wander across the road into some of Melbourne's most famous laneways to uncover an abundance of shopping and dining choices. The property offers intelligently designed apartments and studios that combine style and practicality for students with 3, 4 and 8 person options available at various price points. Location: Urbanest Melbourne Central is located 316 La Trobe Street in the city centre. Cost: $335–$489 AUD per person per week. How to apply: Visit the Urbanest page for the application process and form. Sleek, smart and bold, this property gives you access to all that Melbourne has to offer, with some of the best cafes, parks and shops in the city all within walking distance. Urbanest Swanston Street offers smart and practical bedrooms and apartments for all needs and budgets. There are many options to suit all preferences; single ensuite rooms in shared apartments, private studios and twin share options at various prices points. Location: Urbanest Swanston Street is located at 599 Swanston Street, in the vibrant suburb of Carlton. Travel: Urbanest Swanston Street is located in the heart of Melbourne, a 10 minute walk to Monash College City Campus. Cost: $339 – $555 AUD per person per week. Journal gives students a unique and authentic Melbourne living experience that’s safe, supportive and social. Journal offers stylish studios and shared apartments, all with kitchens and private bathrooms. Students enjoy bigger indoor and outdoor common spaces. 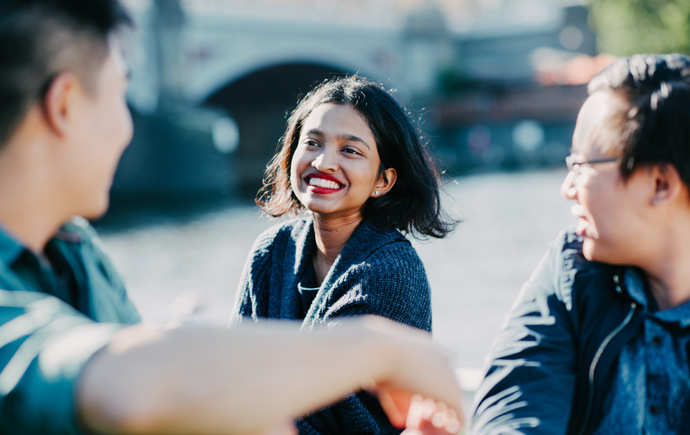 Journal is about community – our comprehensive community life program is designed to help students learn, make friends and make the most of Melbourne. Location: Journal is located at 18 Leicester Street Carlton, on the city’s edge. Travel: 15 minute walk to the city campus, or five minute walk to Melbourne Central train station for the Caulfield campus. How to apply: to book a room or arrange a tour visit Journal Student Living. For 2019, Journal Student Living has an allocation of beds reserved exclusively for Monash College students. 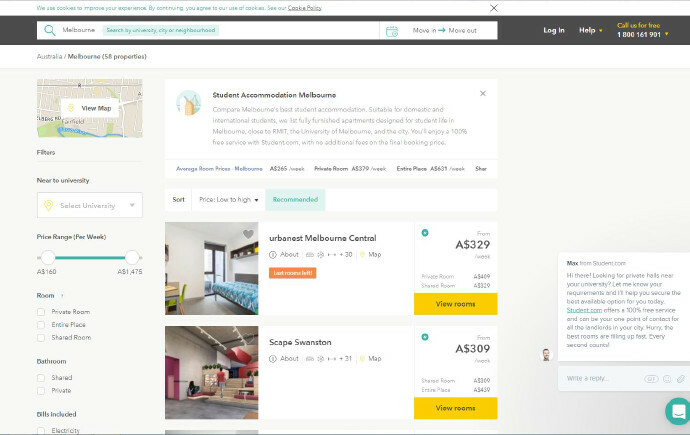 Booking can be made online with instant confirmation using the code MONASHJUP. Scape Swanston is a brand new student accommodation provider offering a range of self contained studio rooms, perfect for students who would prefer to have their own space. The building has been designed with many communal spaces to help you make friends and enjoy your time in Melbourne. Scape Swanston can also offer short-term accommodation for parents. Travel: Five minute walk to our Bourke Street campus, or to Melbourne Central train station for easy access to our Caulfield campus. Cost: Prices range from $439 to $559, depending on size of room. Albert House is a safe and supportive accommodation choice with a social atmosphere and home cooked meals included. Choose from a fully furnished single or twin room. Entertainment lounge and free wifi included (7-15G per month). Location: Albert House is located on Drummond Street, just outside the Melbourne city centre. Travel: 15 minute walk to the city campus, or 10 minute walk to the train station for the Caulfield campus. How to apply: Apply directly to Albert House. If you are over 18 years and would like to live in student accommodation, Student.com can help you find options to suit your lifestyle and budget. All providers offer fully furnished apartments within the city and come with student reviews. The service is free, with no additional fees added to the final booking price. Please note: this is not a Monash College service and properties listed have not been approved by Monash. Students under 18 years must choose an accommodation provider from our approved list. "Living off-campus was affordable, comfortable, safe and close to campus. It was also near my favourite Asian grocery store!"